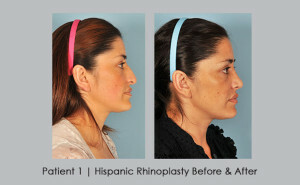 Ethnic rhinoplasty can refer to someone of Asian, African American, Hispanic or Middle Eastern descent. Atlanta, GA is made up of an extremely diverse population with people moving here from all parts of the United States and the world. Dr. William E. Silver has specialized in rhinoplasty surgery over his entire career and has performed hundreds of nose reshaping procedures on every different ethnic group. The thing that makes his specialization different from others is that he believes in a customized approach that is specific to the way that your nose will harmonize with your face. The goal for any ethnic person is to maintain their heritage and natural features while enhancing the balance of the nose, keeping it in harmony with the rest of the face. To see more nose reshaping photos click on the pictures below. 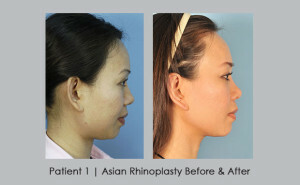 For the Ethnic Nose, Why Do You Need a Rhinoplasty Specialist? 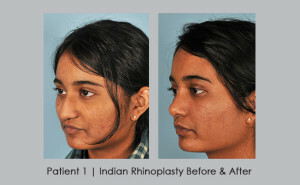 Rhinoplasty surgery is perhaps the most difficult and complicated facial procedure to perform. One or two millimeters can be all that separates perfection from unacceptable. What may appear to be a simple change, if not done by an experienced surgeon like Dr. silver, could end up causing breathing problems and even disfigurement. Dr. Silver has had to do many revision rhinoplasties of patients who used an inexperienced rhinoplasty doctor. Rhinoplasy requires a surgeon who specializes in facial plastic surgery. Dr. William E. Silver is a triple board certified in surgeon in otolaryngology and facial plastic surgery. He has performed over 10,000 nose reshaping procedures. His goal is that you will enjoy the new shape and contours of your nose. That it will look completely natural and in harmony with the rest of your face. Friends and family might comment on how great you look, not even guessing you had anything done to your nose. If you’ve been thinking about having your nose reshaped for years, why put it off any longer. 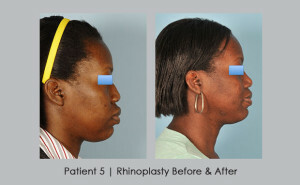 Make a complimentary appointment (404) 586-4790 with Dr. William E. Silver, the “Rhinoplasty Specialist of Atlanta”. Dr. Silver practices at Atlanta Institute for Facial Aesthetic Surgery on Johnson Ferry Rd. Patients have come to Dr. Silver from all over the country as well as locally from Alpharetta, Roswell, Johns Creek, Dunwoody, Sandy Springs, and Marietta.